Redbank Group is Australia’s trusted name in personal protection. We are committed to stocking only the very best equipment and we’re proud to sell the Oberon range of Arc Flash Suits. The Oberon TCG Series Arc Flash Suits are the top of the range in Australia and are made from Aramid & Melamine, an inherently Flame Retardant fabric from Dupont. Now with the True Colour Grey Technology and Safety reflective stripes. 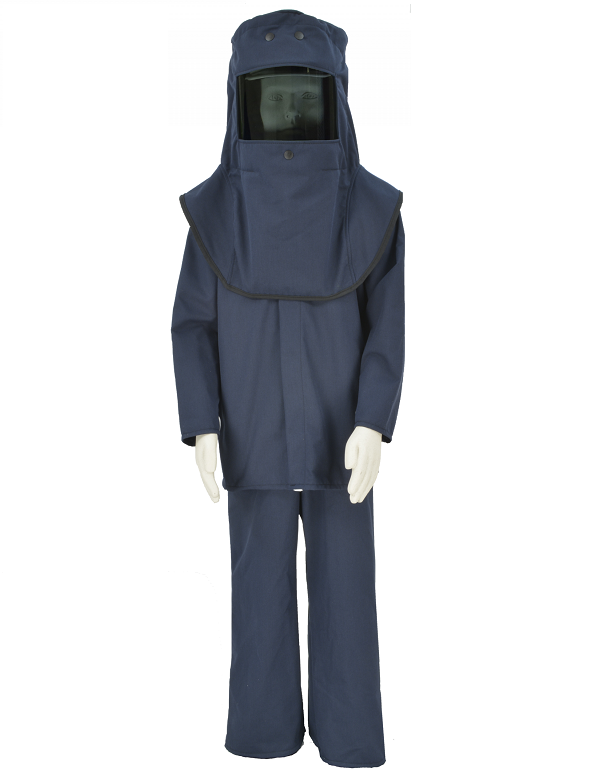 Deluxe quality Arc Flash Suits. Clear grey hood window provides 100% true colour acquity and includes anti-fog and scratch resistant coatings. Knit cuff, zipper front closure, and adjustable suspenders for easy don/doff. Available in 6 Arc ratings – 12, 25, 40, 65, 100 & 140 cal/cm². Available with a hood ventilation system, front attaching LED hood lamp, cooling vest and kit bag as optional extras. Suits include Hard Hat, Hood, Coat & Bib Overall. #TCG2P-CKE-NB-Size ARC Flash Kit – Arc Hazard Category 2, 12 cal/cm² Buy Online! 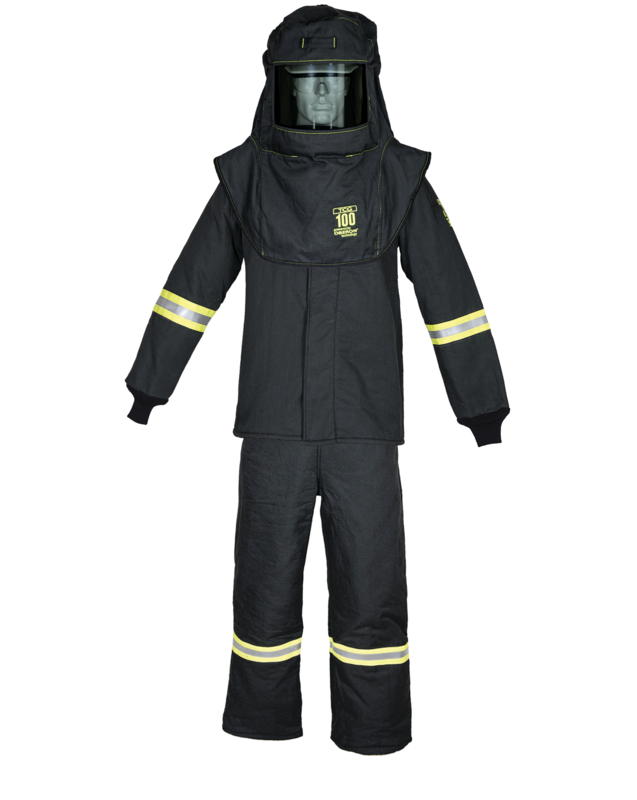 Oberon LNS Series Arc Flash Suits are made from Protera, an inherently Flame Retardant fabric from Dupont. These suits are a cost effective option to the TCG series in our range. Available in 2 Arc ratings – 12 & 40 cal/cm². Garments are lightweight and easily laundered. #LNS2STB-Size Arc Hazard Category 2, 12 cal/cm². #LNS4B-Size Arc Hazard Category 4, 42 cal/cm². Buy Online! 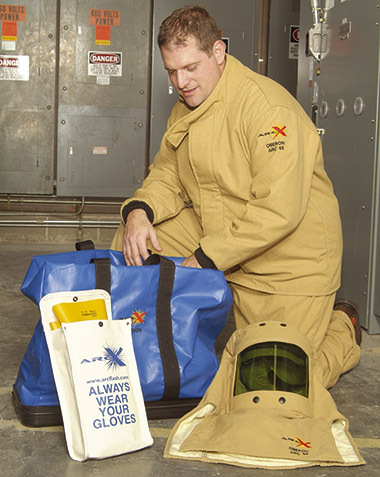 Arc Flash Cooling Vests are worn underneath Arc Flash Suits to provide cooling when wearing a suit for long periods of time. Cooling packs provide cooling for several hours. Cooling time varies dependent on the ambient and body temperature. Constructed of non hazardous, non toxic, FR materials. Jacket vest has 8 cooling packs. Pull over style has 6 cooling packs. Two Sizes – regular and large. #CV-ARC Arc Flash Jacket Cooling Vest. #CVE-ARC Arc Flash Pullover Cooling Vest. For further information, please do not hesitate to get in touch. We will be happy to discuss your requirements and help you choose the right product to suit your needs. Call us on 1300 788 239 to speak with our helpful and friendly staff. You can also leave your information in our contact form and we will get back to you as soon as we can.